The Butler School of Music’s maintenance issues is causing students like music performance senior Zoe Cagan to voice their opinion via social media. Early Saturday morning, music studies sophomore Pablo Estrada walked into the recital hall of the Butler School of Music to find a pile of broken fiberglass ceiling tiles had fallen near the elevators. Then Estrada took his frustration to social media. Estrada and his friends shared photos of the rubble on Twitter, voicing their anger about the building they say is falling apart and posing a safety hazard to guests and students who might tour the building. But the ceiling tiles are only a part of the larger issue, Estrada said. Insulation for the original, 50-year-old heating, ventilation and air conditioning system is worn down, said director of Facilities Services Dean Hansen. The ceiling tiles fell because of exposed duct work and refrigeration lines, which caused condensation to collect and drip down on the tiles, Hansen said. Building manager Russell Podgorsek said he sympathizes with student frustrations over the lack of money allocated to the building, but thinks it’s important to recognize the difficulty of getting public funds. The building is scheduled to receive a new HVAC system as part of the Replacement and Renewal rogram in the summer of 2019 and 2020. However, Page Stephens, the assistant director of operations, said the problems have arisen from a lack of funding on the state level. The Facilities department, which responds to maintenance requests for all the buildings on campus and its affiliates, has seen a greater rate of employees quitting over the last several years, which affects their ability to work efficiently, Hansen said. 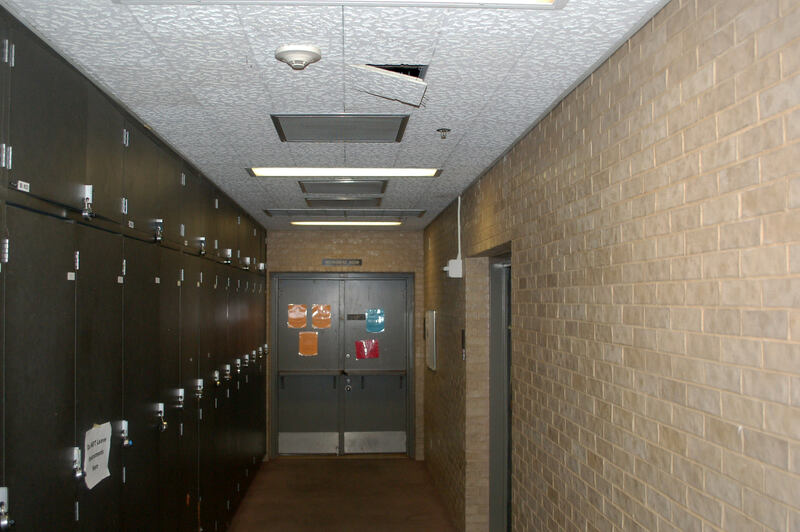 Music performance senior Zoe Cagan tweeted Wednesday that student voices had finally been heard when facilities replaced a different set of ceiling tiles which had been missing since the fall. However, Cagan said this issue is far from over.